Signs are an excellent way to get your business recognized. In fact, the U.S. Small Business Administration touts about signs being the most effective way to advertise a business. 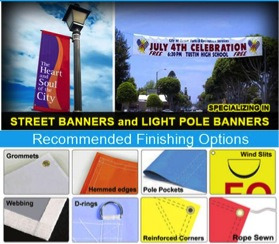 They also state that signs are the most cost-efficient way to advertise your business. Firstly, a sign introduces your business to the public. It lets them know where you are and what you do without having to enter blindly or walk past without ever knowing what's inside. The sign outside your business is like a first meeting with your business. Many customers judge your company by what it looks like on the outside including the sign you have out front. Fortunately, a sign can make your business more successful. On the other hand, not having a sign or having a sign that's not adequately advertising the business can cause your company to fail. Chris Ramirez, specializes in the production and installation of each sign. He does a majority of the fabricating himself in the showroom. Mr. Ramirez monitors any sign needing outsourcing carefully to ensure high quality. Since October of 2004, The Sign Studio has been providing banners, window and vehicle graphics, digital menu boards, displays, ready-to-apply (RTA) lettering and graphics as well as ADA-compliant signage. Throughout nearly a decade, they have been working one on one with clients to find sign solutions that fit clients' needs and meet the clients' expectations. Let The Sign Studio help you put the right sign forward, especially considering a sign if the first thing someone sees when arriving at your establishment. Serving greater Los Angeles, Burbank, Glendale and Pasadena, these three use state-of-the-art sign-making systems and techniques, so you should contact them today for all of your sign needs. Can your business really afford to lose money over not having a sign or having a poorly executed one? If you have any questions, please contact The Sign Studio (818) 843-9200 or send an e-mail to info@signstudiola.com.